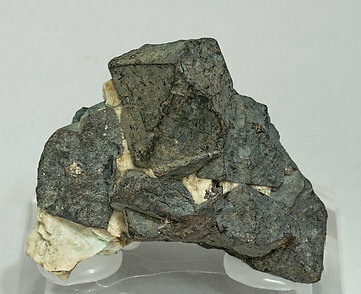 Group of black crystals with a dipyramidal shape and rhombic aspect (they are trigonal). They have very well developed faces and edges and are a good size for this rare cyclosilicate. The sample, on matrix and with fibrous Aegirine aggregates on the back, is with a Claus Hedegaard collection label that we’ll send to the buyer. 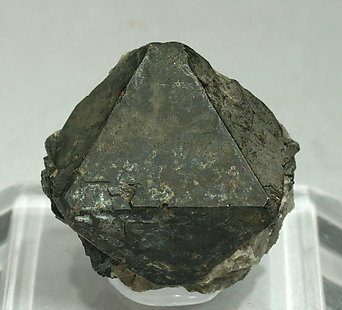 Isolated black crystal with dipyramidal shape and rhombic aspect (it is trigonal). It has very well developed faces and edges and a good size for this rare cyclosilicate. The sample is with a Claus Hedegaard collection label that we’ll send to the buyer.